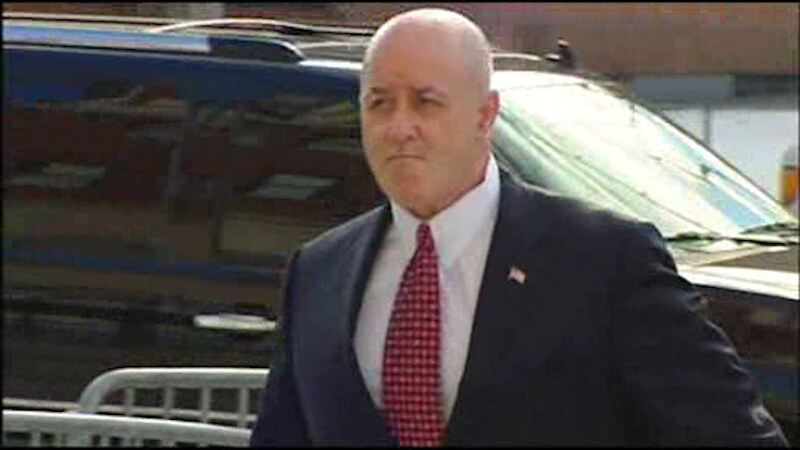 NEW YORK (WABC) -- A former friend of disgraced ex-NYPD Commissioner Bernard Kerik is in trouble with the law. Frank DiTomasso was charged with felony assault Wednesday in the confrontation with a man at the Hudson Hotel on Sept. 17, 2015. The man who officials say was assaulted, an FBI informant, allegedly exposed corruption involving former NYPD Commissioner Bernard Kerik. He is awaiting to be arraigned in Manhattan criminal court. In 2013, Frank was accused of lying to a grand jury when they testified that their construction company, Interstate Industrial Corp., hadn't paid for renovations to Kerik's apartment. Kerik would later plead guilty to receiving $165,000 in free renovations in exchange for helping DiTommaso and his brother obtain a license for their company.